In China, Fo Ti is called ho-shou-wu, a phrase that translates to "Mr. He's Black Hair" and references the legendary herbalist Li Ching Yuen who reputedly lived to be more than 130 years old due to drinking Fo Ti tea. Use the Fo Ti pieces to prepare your own "longevity" tea. However, you may wish to avoid this herb if you are gluten intolerant. appearance & aroma Dark and woody, without noticeable scent. culinary Typically decocted to prepare tea. May also be tinctured. safety Contains emodin and other anthraquinones, which may cause constipation. Avoid use if you have a history of liver disease. May interfere with pharmaceutical drugs metabolized by the same liver enzymes. 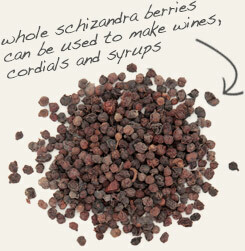 Combine with schizandra berries for more palatable tea. Enclose in a muslin bag to make a decoction. Bitter flavor due to anthraquinone content. Fo-ti is a flowering vine in the smartweed family that is native to China but cultivated elsewhere. 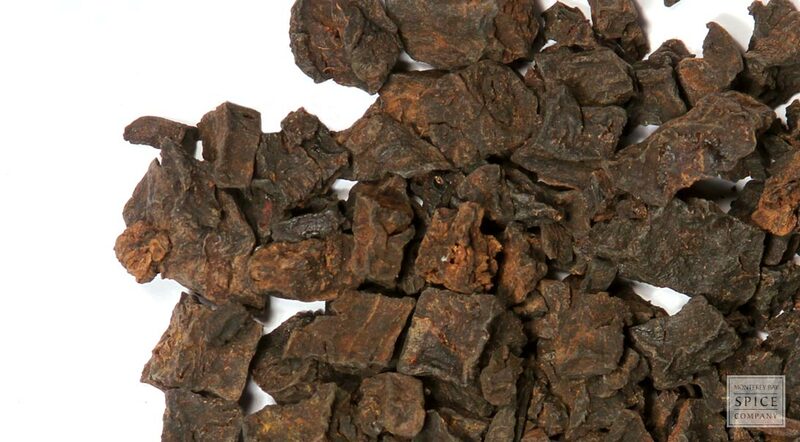 Our fo-ti root is processed, which means that it has been cured by simmering in a black bean liquid. Processed fo-ti root contains carbohydrate-binding proteins called lectins, so-named from the Latin word legere because they select and attach to carbohydrates arrangements on cells and behave like antibodies, although they don’t generate allergy symptoms. The root also contains a number of anthraquinones, including emodin.